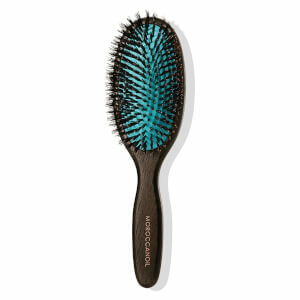 Used on A-list celebrities and the runway, the classic paddle brush from Moroccanoil is the ultimate tool for daily brushing and styling of all hair types. 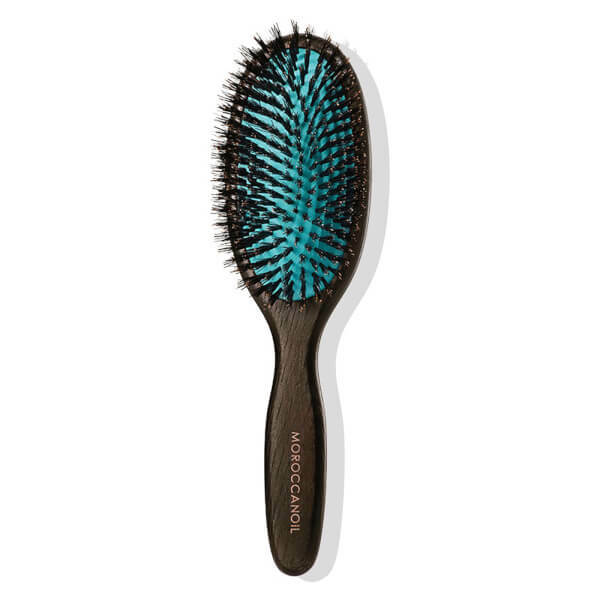 Crafted with natural boar bristles that glide effortlessly through hair, the durable hair brush stimulates the scalp and gently distributes the hair's natural oils down the shaft. Handmade with a heat resistant ash wood handle, its lightweight, ergonomic design fits comfortably in the hand so you can create your desired look with ease. Combining premium materials with high performance, you can experience soft, manageable and healthy-looking locks with enhanced shine. E.N.